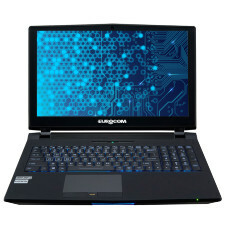 Fully upgradeable, fully customizable, turn the EUROCOM P5 Pro into the laptop of your dreams by selecting the components you want to fit inside this highly capable, yet very mobile chassis. EUROCOM P5 Pro is designed to get the job done – take it to your worksite or office, the P5 Pro is along for the ride of your life. Overclocking: supported with i7 4790K Processor; O/C BIOS available. Processor: Socket based; LGA1150; up to 90W TDP; choice of Core i7, i5, i3 and Xeon E3 series.